Everyone’s seen or felt the damage of spending time in the pool or the ocean when at the beach: split ends, brittle hair, skin redness or irritation, even rashes. Proper hair and skin care is essential for even the casual swimmer, and especially for those who spend a lot of time in the pool, and is a relatively simple process. 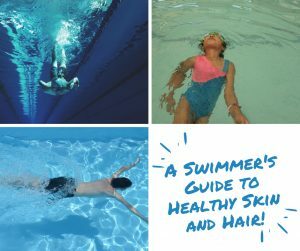 We’re going to explore why these hair and skin problems occur, and how to prevent them so that pool time can be enjoyable for everyone, even our hair! What is pH and how does it affect our bodies and our swimming pools? pH is a simple scale that measures the acidity of any object. The pH scale ranges from 0-14, with any score below 7 indicating that a substance is acidic. Between a 7 to an 8 is neutral and above an 8 indicates that the substance is basic, or alkaline. An example of an acidic substance in our everyday life would be lemon juice; by contrast, ammonia is an example of a basic substance. Our human bodies are at the neutral level, often having a pH of 7 to 7.5. Acidic substances with a pH below 7 can cause rashes or burns on the skin, and can be painful. They can also dry out hair. Similarly, if a substance is too basic, it can also cause skin and hair issues. 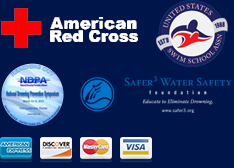 With our bodies’ neutral pH level, it’s important for pool water to reflect a neutral level to prevent these problems. When we spend time in water, our body absorbs the water through our skin and hair. If the pool chemicals are not properly tested and balanced, it can cause these negative side effects. Ideally, pool water should have a pH level of 7.4 to 7.6. This ensures that there is minimal hair and skin damage, and that our remarkable bodies can tolerate spending time in the water. In order to reach this pH, pool chemicals such as chlorine should be monitored carefully and the water should be tested on a regular basis to ensure that the pH level is within that range. At Making Waves, we have our own pool technicians who are trained with years of experience to ensure pool chemistry. In addition, one way we can protect our bodies from this chemical damage from pool sanitizers is a simple solution: rinse before and after entry to a pool. Rinsing your hair and body in non-chlorinated water before and after swimming. Before swimming, take a shower and let your body’s pH balance with regular water. Rinsing off the chemicals in a shower after swimming is crucial because rinsing in non-chlorinated water removes some of the pool chemicals clinging to your skin and hair. Getting those lingering chemicals away from your body will help prevent some of the skin and hair issues seen after spending extended time in the pool. Even if you’re not a heavy swimmer, hair and skin pH can be altered based on your diet and lifestyle. Being sure to keep your body and pool pH balanced is important so that your hair and skin doesn’t show damage or begin to get damaged. Being aware of pH and rinsing before and after swim activities is the best way to prevent this, and keep your body healthy in the water! Until next time: Swim fast, swim safe, and have fun! !